Follow the mandarin trail and join the Mountain Mandarin Growers' Association (MMGA) members at their groves on the third weekend in December for Orchard Days. They have loads of family fun in store. Take a wagon ride around the 30 acre farm and sample the delicious winter vegetables growing along the way. (Yes, Tanaka is a real working farm!) Your friendly tour guide will tell you all about the farm and history as you enjoy the scenery. 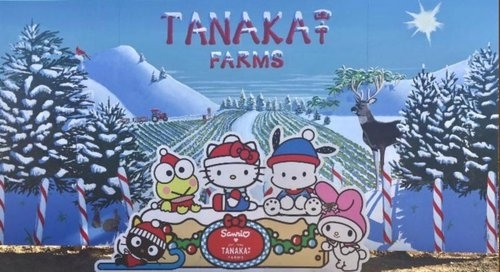 Make a special stop on the tour in Tanaka Land on the top of the hill where you might get caught up in a snow flurry! 'Tis the season to celebrate with the community. 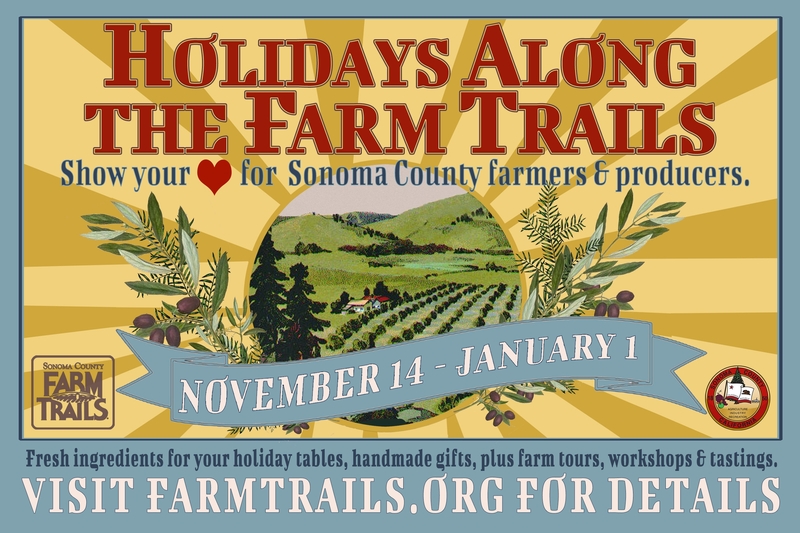 Join Sonoma County farmers and producers as they open their gates and barn doors to offer a behind-the-scenes peek at life on the farm. Shop their unique farm stand for your holiday meals, cut your own Christmas tree, make a gift at DIY workshops, greet farm animals, and so much more. Along the trail, you can tour a creamery, taste wine and cider, and watch a jam-making demo. Visitors must register (for free) to receive the list of participating destinations and offerings in the interactive online map. CLICK HERE TO REGISTER. 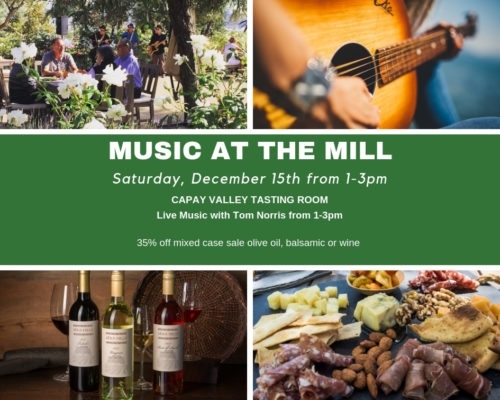 Join us for an afternoon of live music featuring local artist, Tom Norris! Saturday, December 15 from 1 to 3 p.m. Guests will also enjoy a special offer of 35 percent off the mixed case sale. The Séka Hills Olive Mill & Tasting Room showcases the agricultural bounty of the region and is a destination for artisan goods and delicious locally sourced fare. Visitors are treated to scenic views of the surrounding orchard and rolling blue hills that inspired the name Séka Hills. The Tasting Room is located inside the 14,000 square foot olive mill facility, offering an insider's view of how the Tribe's olives are grown, milled and finished into world-class, award-winning Séka Hills extra virgin olive oils. Guided tours and tastings offer visitors a chance to experience the growing line of fine agricultural products from the Yocha Dehe Wintun Nation that now includes olive oils, wines, honey, beef jerky and seasoned nuts. Learn more. Did you know that, in order to designate a wine as "Suisun Valley", 85 percent of the grapes used to make the wine must have been grown within the Suisun Valley AVA? 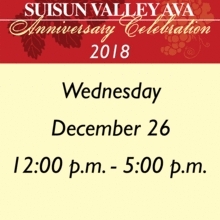 When you tour Suisun Valley during this Aniversary Celebration you are helping to support the vintners and growers that are behind a very special area. 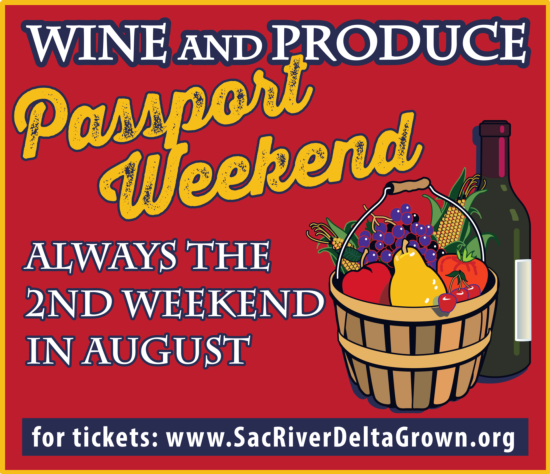 The Anniversary Celebration "Tasting Pass" is a one day pass to taste the wines and other offerings around the Suisun Valley AVA at participating locations. By buyint a ticket to the Anniversary Celebration, attendees will be able to waive the normal tasting fees at the eleven participating locations and enjoy a fun day with friends and family. California Cheese Trail - which includes CheeseTrail.org, the California Cheese Trail map and the California Cheese Trail app - promotes artisan cheesemakers and family farmers. It's the only project/website that connects people to the cheesemakers, their tours, cheesemaking classes and cheese events throughout California. 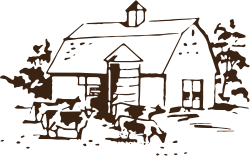 Check the map to design your own tour or pick one of various regions, find a tasting, class or cheese event near you, find cheesemaking supplies, private classes, online cheese sales, and the latest blog! Find many more opportunities to visit California farms, ranches and vineyards on the UC Agritourism Directory and Calendar of Events: www.calagtour.org. 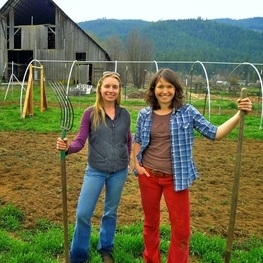 The farmers of Five Foot Farm. 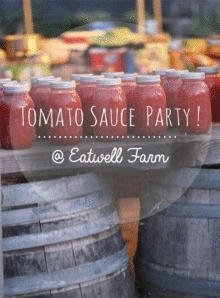 Tomato Sauce Party at Eatwell Farm (Solano County) - It's time to join in on the tradition. Let's get canning! Coffee trees at the Good Land Organics farm. Learn about more farms, ranches and adventurous fun at www.calagtour.org. While many of us cherish the mystique of popping a wine cork, screw caps are becoming more commonplace in the wine industry. Half a century ago, screw caps were associated with cheap rotgut wine, but now they have replaced corks in many premium wines and at many of the world’s best wineries. Wine bottles are sealed primarily in three ways — natural corks, synthetic corks or screw caps. All have their advantages and disadvantages, and most certainly their proponents and opponents. While synthetic corks never gained much of a foothold in the wine industry, screw caps are being studied more frequently for their efficacy and quality. While screw caps were originally thought to be airtight, resulting in the unpleasant aroma of hydrogen sulfide inside some sealed wine bottles, screw caps have been developed with different levels of permeability. Most aluminum Stelvin caps are lined with a polyvinylidene chloride–tin foil combination (Saran-Tin), or a polyvinylidene chloride–polyethylene mix (Saranex); each yielding different permeabilities, and chemical and taste profiles in the wine. Research is weighing the value of screw caps on wine quality and consumers’ ability to taste differences in wine bottled with a cork or a screw cap. 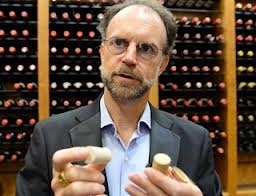 A new UC Davis study spearheaded by wine chemist Andrew Waterhouse, professor in the Department of Viticulture and Enology, is examining Sauvignon Blanc wine quality during aging, and consumers’ ability to taste differences such as oxidation in wine capped with natural cork, synthetic cork or screw caps. The UC Davis research team includes John Boone, a radiologist, and David Fyhrie, a biomedical engineer — both professors in the UC Davis School of Medicine — who will work with Waterhouse to analyze the corks, the wine color and oxidation of the wine. An earlier study at Oregon State University, and reported in ScienceNews, said that consumers could not discern a difference in Pinot Noir and Chardonnay wines capped with natural corks or screw caps. Perhaps what merits future study is the type of linings in screw caps. 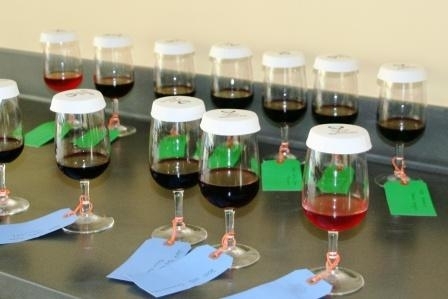 As screw caps continue to gain a foothold in the wine industry, it’s reasonable to assume that additional research on cap linings will produce additional options for winemakers, resulting in high-quality wines with greater longevity. Winegrapes growing at the UC Kearney Agricultural Research and Extension Center. Nearly half of the 55 unusual winegrape varieties in a plot at the UC Kearney Agricultural Research and Extension Center in Parlier displayed enough promising characteristics to prompt a cooperating vintner to make 25 small lots of wine. 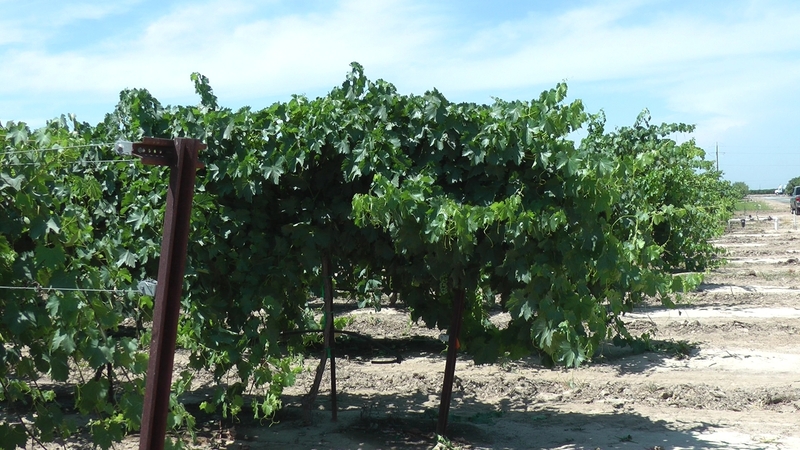 The research at Kearney is designed to expand the wine industry’s options in the San Joaquin Valley, currently California’s top grape growing district in terms of production, but lowest in terms of price. “Most of the popular wine varietals – Merlot, Cabernet Sauvignon, Chardonnay – are at their best in somewhat cooler climates. So we are looking for grapes that make superior fruit in warm climates,” said Matthew Fidelibus, UC Cooperative Extension specialist in the Department of Viticulture and Enology at UC Davis. 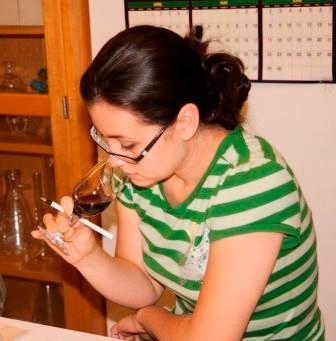 Fidelibus is supervising the production at Kearney of winegrape varieties that were collected from countries such as Spain, Greece and Italy, where the climate mimics the valley’s hot days and warm evenings. In the research plot, the vines exhibit a wide range of vigor, productivity and fruit quality. While Fidelibus is gathering data on each variety’s yield potential, cluster architecture, amenability to mechanization and other viticultural characteristics, winemaker Constellation Brands is monitoring the winegrapes’ potential to produce distinctive, flavorful California wines. Currently, 80 percent of California wine is made from fewer than 10 types of winegrapes, with the most popular white being Chardonnay and the most popular red Cabernet Sauvignon. Kaye says the market is ripe for something new, perhaps Fianio, a white wine with a fresh, young style evoking flavors of melon and grapefruit, or the stylistically unique Marselan Noir, a red wine with bright cherry flavor that pops.